SmartCradle™ Telecommunications Terminal | Inter-Tel Japan, Inc. The SmartCradle™ telecommunications terminal. 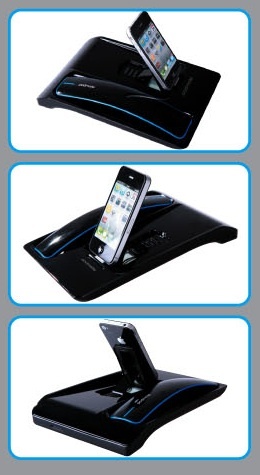 Designed to work with the iPhone 3, 4, and 4S, the SmartCradle offers an exciting new way to use your iPhone. 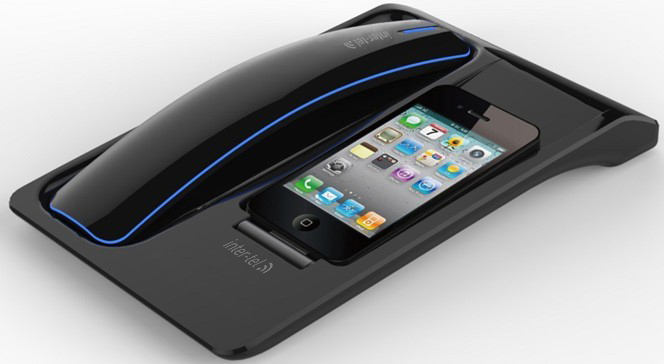 Minimize the effects of cellular radiation with SmartCradles' Bluetooth handset. This slim, sleek, handset has a low power output, and may be used up to 10 meters from the terminal with up to 10 hours of talk-time on a single charge. Through the Bluetooth headset recessed control panel, basic functions such as volume up and volume down, call connection and call disconnection can be accessed. Depending upon the iPhone used and subscribed services through your cellular service provider, additional functions such as SIRI, voice control, redial, call conferencing and call transfer can be accessed through the handset control panel. When making video calls or watching videos on your iPhone, the SmartCradle can be adjusted to an angle that is most pleasing. VoIP talk applications, Skype, Google Talk, MSN Messenger and others are supported through the SmartCradle. 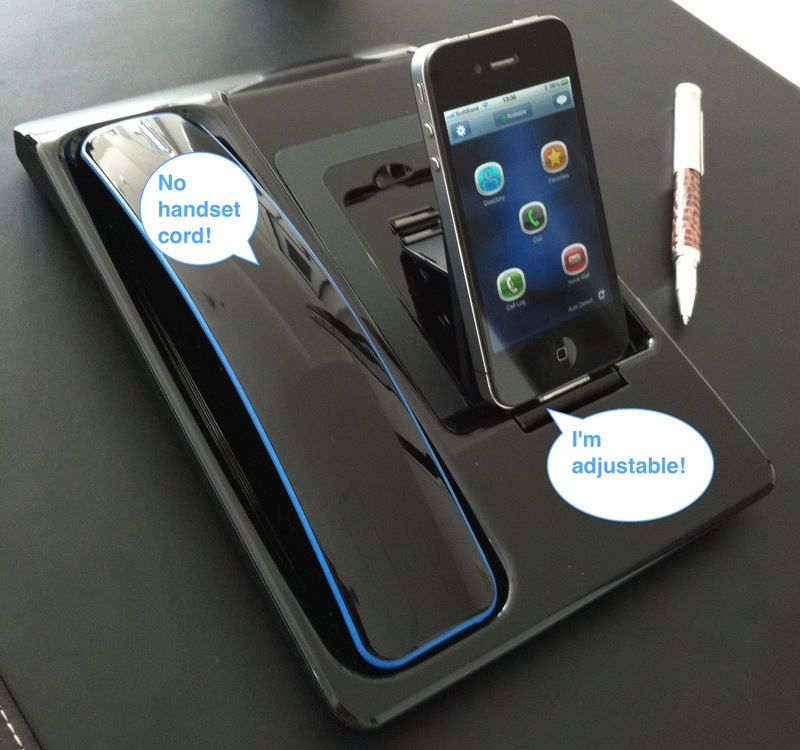 Charging your iPhone, and the Bluetooth handset can performed simultaneously when the SmartCradle is connected via the supplied USB cable to your PC or via the supplied AC power adapter. 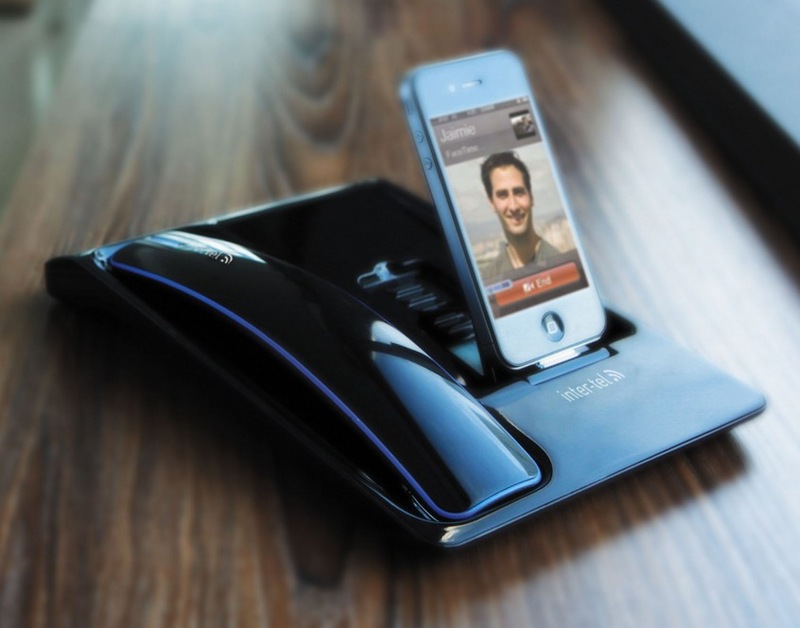 When connected directly to your PC via the supplied USB cable, the SmartCradle Telecommunications Terminal can also backup and sync your iPhone data with iTunes. The slim and compact design of the SmartCradle Telecommunications Terminal makes it a great companion for travel and can be easily used at home or in the office. Note: Apple iPhone™ is not included with your purchase. All trademarks and brand names are the properties of their respected owners.